It didn’t take long for “The Walking Dead” to take over fall TV season. Season 5 of AMC’s hit show exploded onto television Sunday night with what may be its best episode since the show premiered on Halloween night 2010. Carol was the heroin in this episode as she singlehandedly destroyed Terminus, which led to the group’s escape. Carol used amazing tactics, including one that was used in season one, to break into Terminus and demolish anything that came in her way. However, Gareth and a few of his henchmen stayed alive. Meanwhile, Tyreese, holding a Terminus member hostage at a nearby shed, once again showed his inhuman strength. He took out a few walkers with his bare hands and killed the Terminus member who was threatening to murder baby Judith. Rick led the group out of Terminus and into the woods where they reunited with Carol. This was an emotional scene as Daryl was the first to approach Carol with tears running down his cheeks. Then Rick joined in and asked Carol if she was the one who broke into Terminus to set them free. There was no question that Rick would allow Carol back into the group, especially since she saved their lives. Carol then led them all to Tyreese and baby Judith, and an emotional Rick and Carl immediately ran to Judith on sight. Even though they escaped Terminus, Rick wanted to go back in there to eliminate Gareth. There was no doubt that Rick wanted his revenge and had a lot of anger inside him, but he let it go after finding baby Judith. The episode concluded with Rick marking “No Sanctuary” on one of the Terminus signs, and we got an enormous surprise at the end with the reappearance of an old character. The Walking Dead certainly delivered an incredibly satisfying season premier. There were plenty of zombie kills, goring scenes, and the gratifying escape from Terminus. Where will the group go next? From the sneak peek we saw during Talking Dead, it looks like the group is going to be introduced to a new character, a church man named Gabriel Stokes. The biggest wonder is if the old character who made his reappearance would find his way to Rick’s group. He would be an enormous asset to the group since he is such a brilliant combatant. Also, Gareth and a few of his men are still alive. Will the group run into them again? The trailer that AMC released over a month ago suggests that Gareth will make his return, which begs the next question. 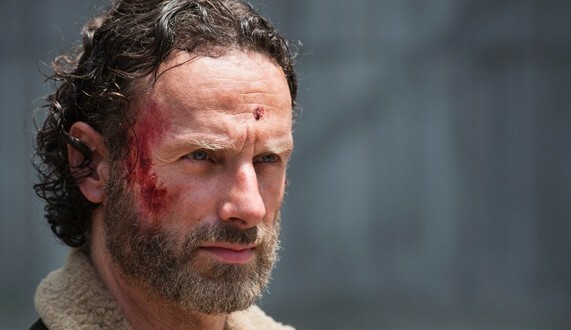 Will he try to befriend Rick or try to kill him and his group again? After losing his entire town and most of his troops, maybe Gareth will try to ally Rick and the group as they make their trip to Washington D.C., but the group may be hesitant to allow him to join them. Lastly, Beth was not shown in this episode, but she should make her appearance soon. It will be interesting to see if she can make her way back to the group, but at least Daryl let everyone know that she is still alive. We are definitely in for a phenomenal season, but, first and foremost, once everyone regroups, Rick will have to make amends with Tara, who Rick last saw as a member of The Governor’s group.